Cable management system. 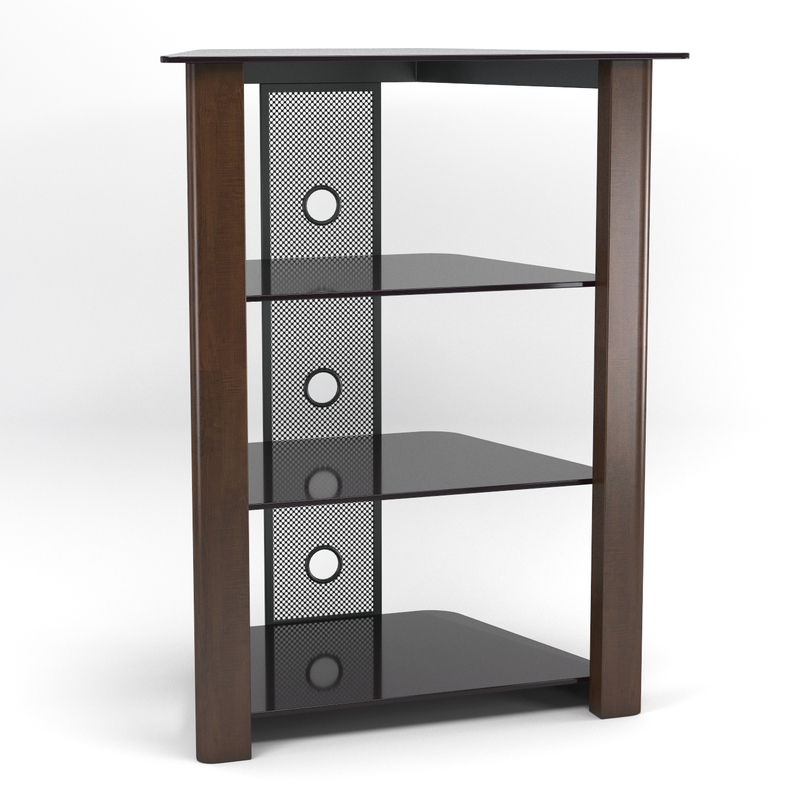 Each shelf supports up to 75 lbs. 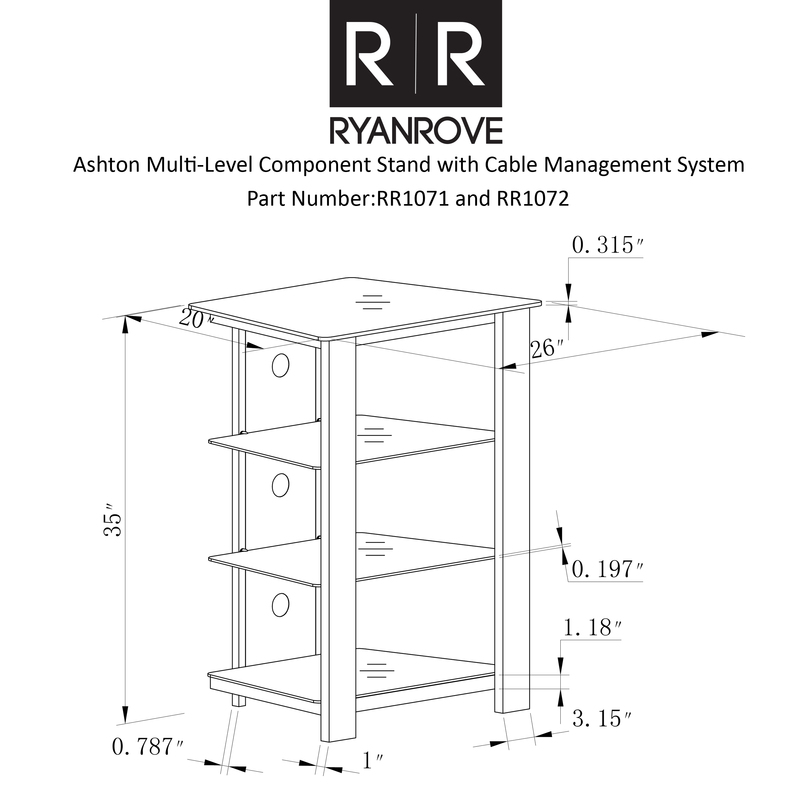 The Ryan Rove Ashton, wood espresso multi-level component stand features three spacious shelves that provides ample room for a various A/V components and media accessories. 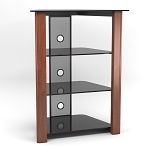 The powder-coated metal frame, beveled tempered glass shelves and high-grade MDF accents add to it's distinctive look. 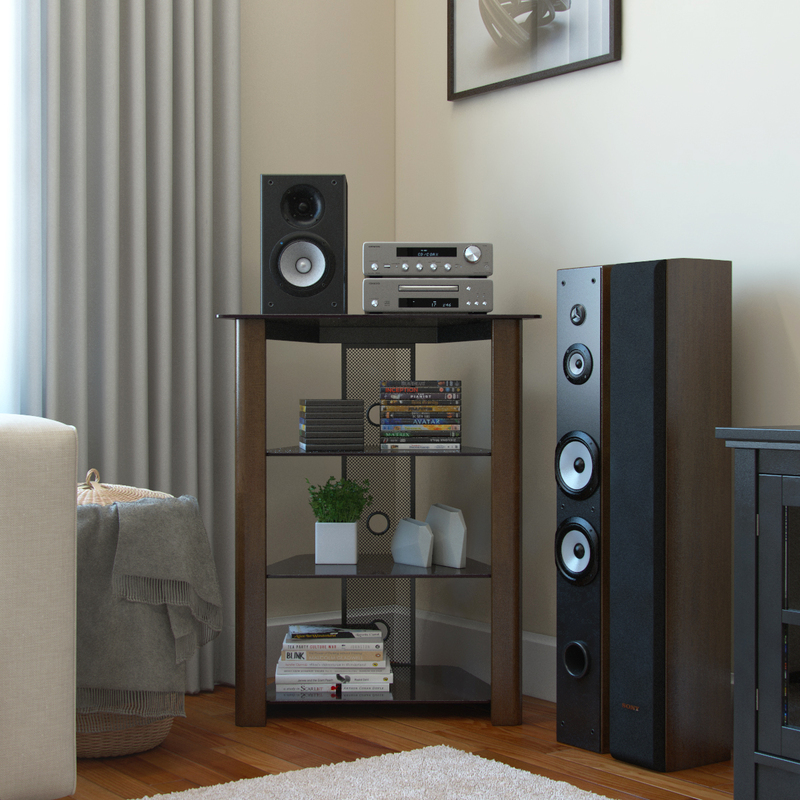 A convenient cable management system is included to keep cords and cables in place to maintain a tidy appearance. 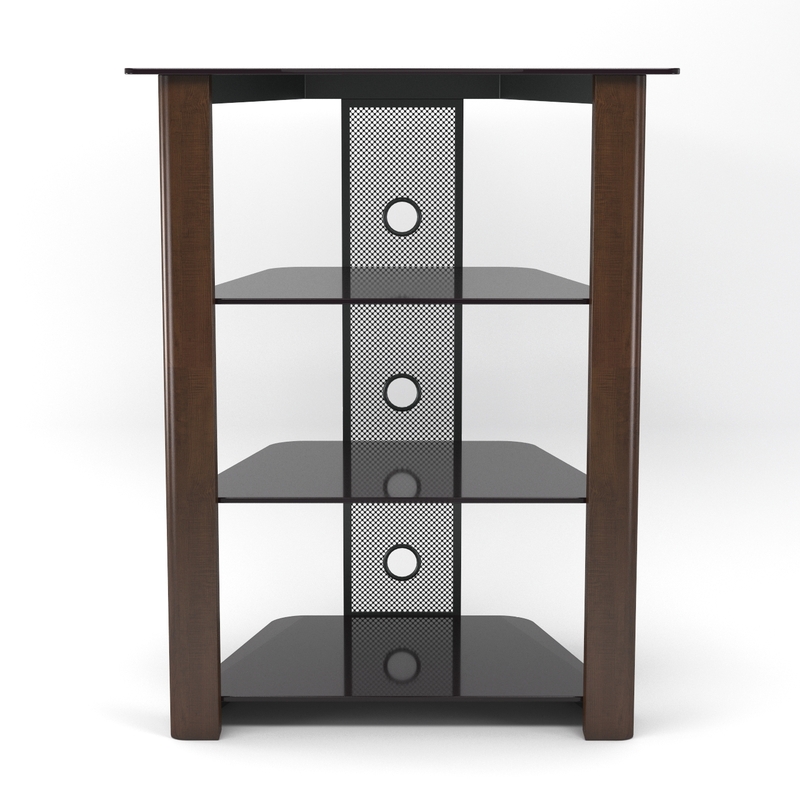 STAND DESIGN: Stylish, modern design. 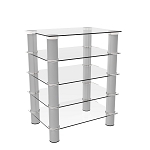 Beveled, tempered safety glass shelves. 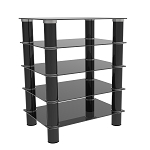 Each shelf supports up to 75 pounds. Interchangeable shelf spacing. Any lower may be excluded, offering various stand heights. Cable management system. Powder-coated steel legs. Ample storage space. Sturdy and solid construction. The shelves are all open space for increased air flow.